Every year, our undergraduate students engage in exciting research projects for their honours theses. Gifts to this endowment will help fourth-year honours students gain advanced research experience. This includes field and/or laboratory work on such topics as: Arctic research; fossils and implications for evolution or paleogeography; resource geology; crystal growth, metamorphism and mountain building; igneous rocks as geochemical tracers of Earth’s history; early Earth and planetary geology; basin analysis; sea level changes; natural vs. human contamination; hydrogeology; and many other earth sciences and environmental topics. We want to help support the students’ research costs. We wish to honour Dr. Charles Frederick Roots (1956-2016), a remarkable alumnus (MSc/82 PhD/88) who was an avid geologist, outdoorsman and all around scientist. Charlie Roots was born in Ottawa, and grew up in the Gatineau River Valley. 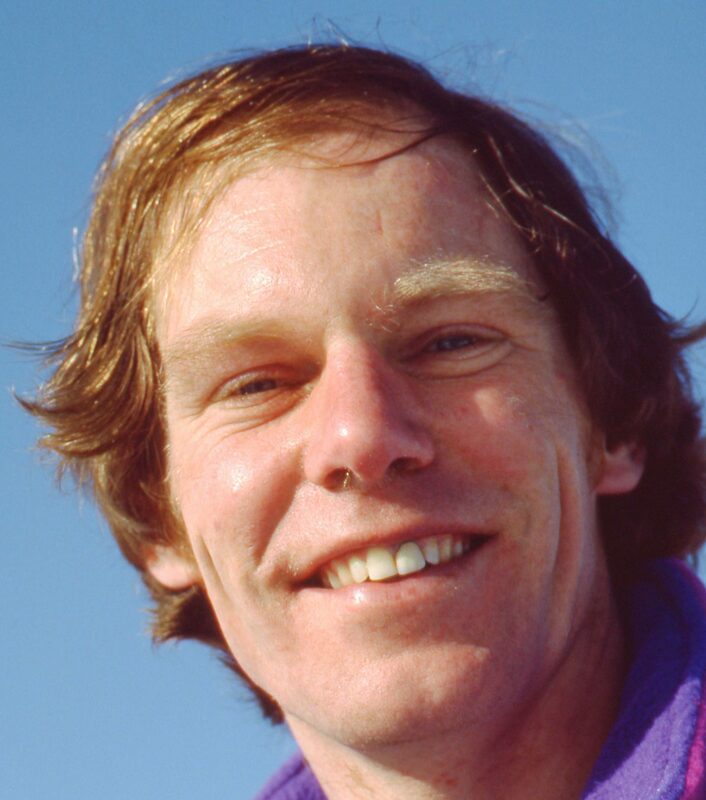 From an early age and throughout his life, Charlie avidly pursued outdoor activities such as hiking, swimming, cycling, cross-country running, canoeing, skiing and snowshoeing. He was curious about the natural sciences and, starting as a teenager, had summer jobs with the Geological Survey of Canada (GSC) and the National Museum where he participated in field research programs in the Rockies, central B.C. and Arctic field stations (e.g. Bathurst Island, Ellesmere Island, and Great Slave Lake), as well as science projects in Ottawa. In the field, Charlie learned the invaluable skills of field observation of rocks, flora and fauna, mapping the surrounding area, and report writing. Charlie’s first degree was from Dartmouth College in New Hampshire. He carried out graduate studies at Carleton University in the Department of Earth Sciences where he completed an MSc in 1982 and a PhD in 1988. Charlie’s PhD dissertation, “The Regional Tectonic Setting and Evolution of the Late Proterozoic Mount Harper Volcanic Complex”, won the Leopold Gelinas Award of the Volcanology Division of the Geological Association of Canada, and attracted international attention. In 1987, Charlie started work as a Research Scientist in the Cordilleran Division of the GSC in Vancouver, where he investigated Yukon geology. In 1992, with two other Carleton Earth Sciences alumni and GSC scientists (Lisel Currie, PhD/94, and Leo Nadeau, MSc/84, PhD/91), Charlie participated in the 19-person Canadian Geographic Society expedition led by Mike Schmidt (PEng) to place a Global Positioning System instrument on the summit of Mount Logan, Canada’s highest peak, and determine its height. The mission addressed an important geophysical and geodetic problem, and coincided with the 150th anniversary of the founding of the Geological Survey and the 125th anniversary of Canada. Charlie, Lisel and Leo shared a specially labelled bottle of wine on the slopes of the mountain, sent along by Carleton in celebration of the university’s 50th anniversary. Charlie and Mary Ann Annable married and settled in Whitehorse where they raised their children Logan and Galena. Charlie worked as a Research Scientist with the Geological Survey of Canada, investigating the origin and evolution of the Yukon and the North American continent, mentoring students, engaging with the public about science, and participating in his community. Charlie continued to do field work in the mountains until 2011 when he had to stop due to the progression of amyotrophic lateral sclerosis (ALS). During his later years, Charlie gained great satisfaction from his intellectual involvement in geological investigations, and environmental and social issues. He and his family enjoyed visits from geologists and naturalists from around the world, and supported the research of several teams from a variety of universities and institutions by providing a Whitehorse base for staging their field projects. Charlie died in Whitehorse in 2016. Throughout his life, Charlie put as much as he could into every day. When his physical strength dwindled, he continued to engage actively in planning, designing and analyzing projects, and interpreting the natural setting of Whitehorse. Charlie’s courage and determination, unquenchable good humour and unfailing willingness to help others are an inspiration to everyone, and Charlie is a great role model for early-career geologists and natural scientists.